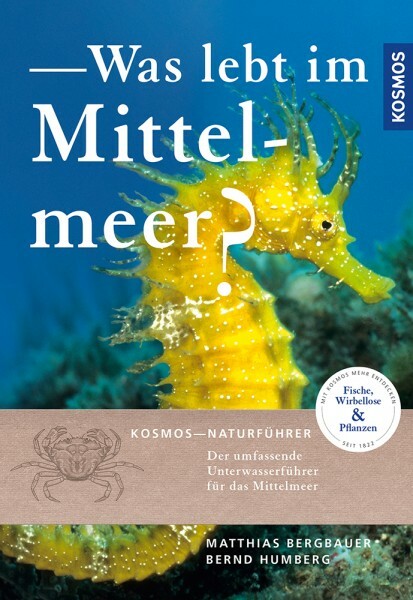 Product information "Was lebt im Mittelmeer?" This Mediterranean nature guide is identification aid and reference book in one. The expanded new edition offers a compilation of more than 400 of the most frequent and important animals and plants. Extensive information about characteristics, habitat and potentials for mix-ups, as well as the KOSMOS colour code help in confident identification. Ideal for divers, snorkellers, aquarium owners and tourists in the Mediterranean. Dr. Matthias Bergbauer is an ocean biologist and works at Munich University. KOSMOS published his book 'What lives in the Mediterranean'. Bernd Humberg ist Diplom-Biologe und Tauchlehrer. Er arbeitete nach seinem Studium mit Schwerpunkt Meeresbiologie an verschiedenen meeresbiologischen Stationen. Seine journalistische Laufbahn begann er als Chefredakteur des Fachmagazins Divemaster.